Forget the myth that because it tastes great, it can’t be good for you. 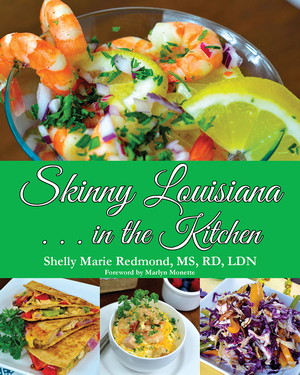 Culinary dietician Shelley Marie Redmond has done all the work and research to marry the authentic and delicious flavors of Louisiana cooking with principles of healthy eating. A list of pantry essentials forms the cornerstone of her plan and offers substitutes for ingredients high in carbohydrates (like Greek yogurt instead of butter). A shopping guide helps you to plan a successful and efficient trip to the grocery store. 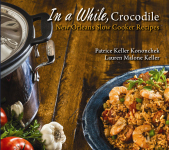 Recipes for such flavorful dishes as Mardi Gras Mambo Cajun Rice Dressing and Skinny Louisiana Cajun Chicken Pasta let you celebrate the best of Louisiana’s eats without the worry of compromising your health! Shelly Marie Redmond is a culinary dietitian, media personality and founder of the Skinny Louisiana brand. She is a partner in Eberhart Physical Therapy, where she works with clients on food-related issues. Veteran food columnist and cookbook author Marlyn Monette writes for The Times in Shreveport and is a frequent guest on television cooking programs. She liberally laces her recipes with amusing family stories.